When you are ready to build your patio or outdoor space, the experts at Kansas City Patio Enclosures are here to bring your vision to life! We are Unique Kansas City Patio Enclosures! Enclosures for your home or business give you the opportunity to decide how much of the outside you want to let in. They are a way to extend your living space, add a place to relax, and find new space for entertaining. Unique Kansas City Patio Enclosures has designed and built many different kinds of enclosures for many different types of customers, so we͛re completely confident that we can give you EXACTLY what you want! The Kansas City climate offers some incredible opportunities for outdoor entertaining and family fun all year long. With a patio enclosure or porch from Unique Kansas City Patio Enclosures, you can make the most of those times and even squeeze in some extra days by making use of your new home addition! We have a competent team who knows the right questions to ask to determine which structure will be best for them. Why choose Unique Kansas City Patio Enclosures? You are in good hands with our knowledgable and experienced team. Your patio enclosure or new structure will be built to last since we use only the highest quality building materials available. Our construction equipment is state of the art, ensuring every job is completed in a safe and efficient manner. We treat our customers right, and are always here to answer any questions. We will customize your patio room or outdoor structure to satisfy your vision! When you do a good job, customers tend to talk! We have dozens of positive reviews from clients all over Kansas City, and beyond! A sun room, often called a 4 season room, is a great space to enjoy the outdoor views without the hassle of bugs, pollen, high temps, or rainy weather. A 3 season room is great for enjoying a semi-outdoor space, however it is not climate controlled. You can still stay protected from many uncomfortable outdoor inconveniences and enjoy time in the sun with this style of patio enclosure. If you’ve always wanted a patio room, it’s not too late to act! Usually, these jobs can be completed quickly if there is already a covered structure in place. Screen rooms are a great option for when you want to enjoy the fresh air, but don’t want to deal with the bugs! Enjoy your space for a long time with high quality materials that will last. 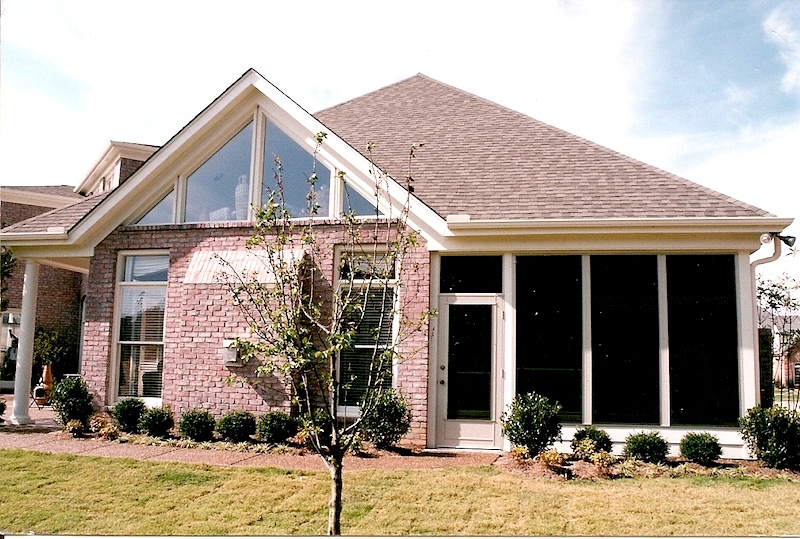 Solariums, mainly constructed of glass, are a great option for when you want an area to let in a bright sunlight. If you love to garden, a green house is the perfect space to create a protected area for your plants, year round! Stay cool and out of the rain with stylish patio covers, allowing your family and guests to relax and enjoy the outdoors without suffering from harmful sun rays. Protect your car and create an area of shade quickly! An inexpensive option for anyone who may need some extra space to store cars when the garage is full! Unique Kansas City Patio Enclosures has a knowledgeable, friendly staff on hand to answer your questions about the different types of patio enclosures and to help you decide which one may be the best for you and your family – or, for that matter, for your business! Within each of these categories, there are many more choices to be made concerning the design and specific usage of the space. Our team will be by your side every step of the way to make sure that, when your enclosure is finished, you have a room that feels like home! 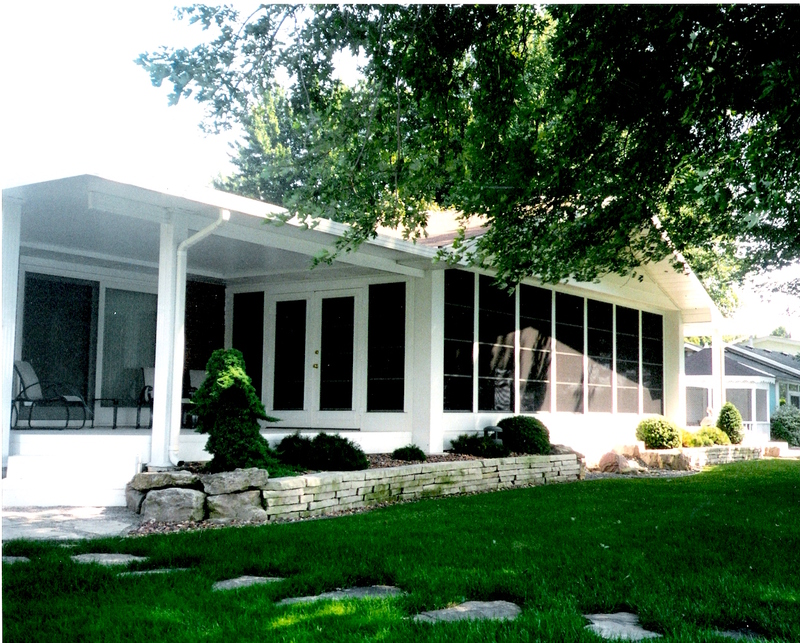 We are proud to be the most dependable patio enclosure builders in Kansas City, and we’ll continue to work hard day in and day out to give our customers everything they want from their new home additions! This means a commitment to our Kansas City customers and those in all of the nearby cities and communities. Working for people who are also our friends and neighbors gives us a reason to do quality work each and every day. From affordable rates to fast service and professional results, you’ll get it all from Unique Kansas City Patio Enclosures! We don’t believe that customers should ever have to choose between what they want and what they can afford, so our team works hard to find options that can be both! When the job is done, we want you to be able to truly relax in your home addition and know that you got the absolute best workmanship and prices available. 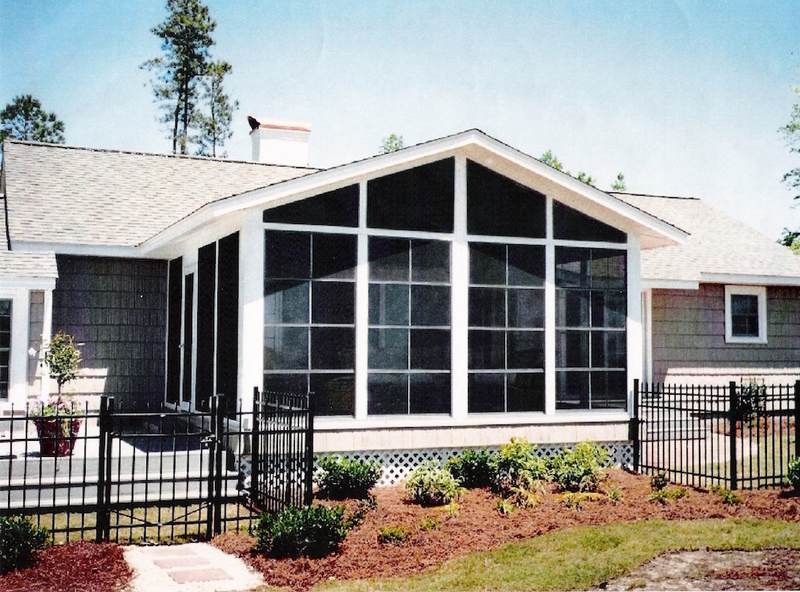 We can do it all, from a simple carport to a fancy solarium or sun room! Our experience and reputation speak for themselves! When you’re ready to experience the inspired designs and dedicated work that comes from the best in the business, call Unique Kansas City Patio Enclosures! Studies show that being ‘outside’ any time you want benefits your health by increasing energy and mood! A four season room, sometimes referred to as a sun room, provides a lot of versatility for your home as a true interior enclosure, but with the feeling of being outside. You can be comfortable inside while still enjoying everything nature has to offer! Walls and windows make up these rooms, so they provide you and your family with the most protection against dust and pollen of any patio rooms. You will also be protected against all types of weather, including those clear, sunny days when temperatures soar, since a 4 season room is fully insulated, heated and cooled all year long. Similarly, a three season room has many of the same advantages. People also use the term ‘sun room’ here, but it’s important to note the differences. Three season rooms aren’t heated and cooled, so they are less expensive and quicker to install than 4 season rooms. These enclosures also help you avoid the discomfort of insects and pollen, making your time enjoying nature more comfortable. Professional patio room installers like Unique Kansas City Patio Enclosures can help you achieve less dramatic swings in temperature and allow you to enjoy your outdoor views even during rain, snow, or winds. Depending on what you’ll be using your home addition for and which seasons of the year you’ll be there most, a three season room may be the perfect thing for you! Patio room installation doesn’t have to be limited to an outdoor area. Even a deck or porch can be made into a usable interior space quickly and affordably. If the structure is already strong enough to bear the weight of additional materials, furniture, and whatever else you plan to use your enclosed porch for, the installation can go very quickly! If it needs to be reinforced first, Unique Kansas City Patio Enclosures has a qualified team to handle that, too. We like this option for many of our customers because they work with a space the customer is probably already using. 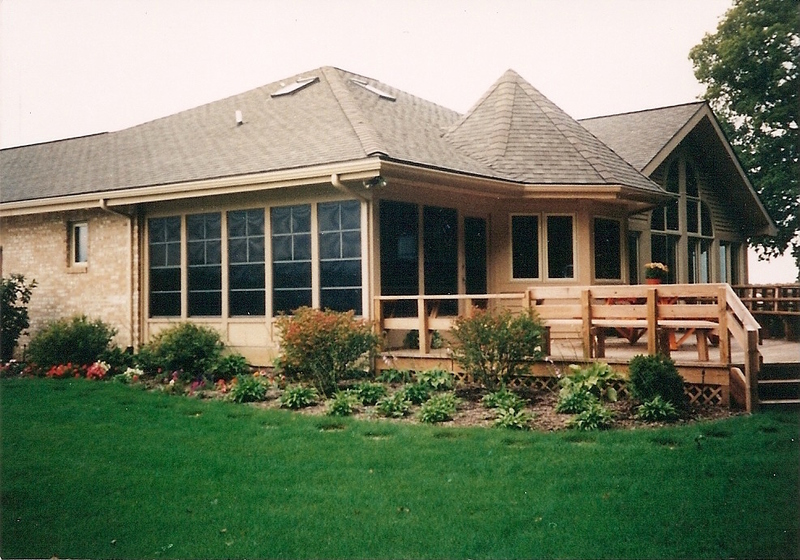 An enclosed porch is durable and weather safe, plus they are highly customizable and make getting outside easier, especially for family members with mobility issues or allergy sensitivities. Unique Kansas City Patio Enclosures means it when we say we’ve done every type of patio room installation! This includes the relatively simple job of screening in a porch or patio. This is one of those home improvement jobs that people tend to think they can do on their own, but it can quickly turn into more than they can handle! We recommend screened rooms for a lot of customers because they are the quickest way to make usable space of your porch or deck, and they give homeowners the most genuine outdoor experience without the hassles of insects. Additionally, these patio enclosures block much, but not all, of the pollen and dust that are floating in the air. A solarium is a unique choice for homes and businesses alike. Solariums, sun rooms and greenhouses are all lumped into the same category sometimes, but they do have distinct differences. A solarium, for example, is distinguished by a glass roof that lets in the maximum amount of sunlight. 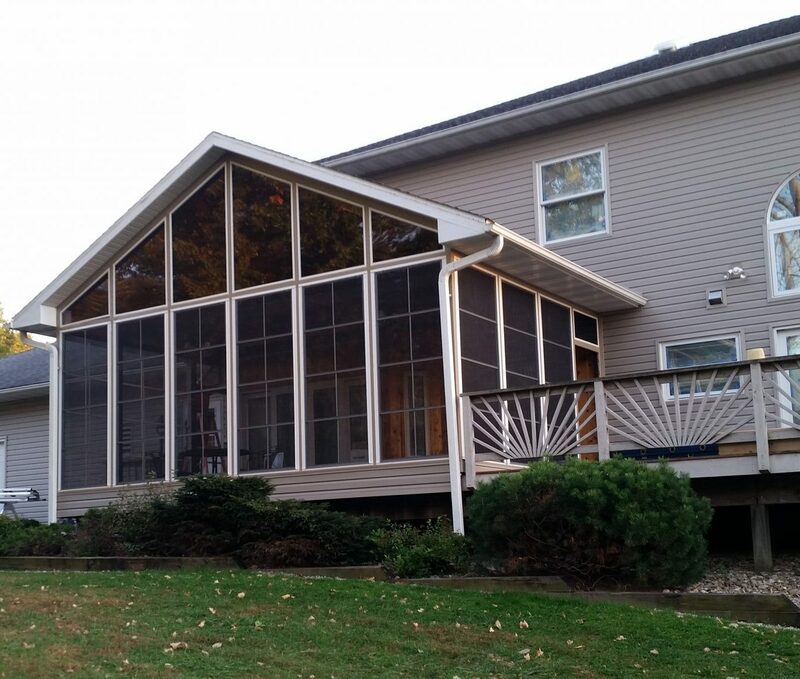 As the premiere patio enclosure installers in Kansas City, we can build attached or freestanding solarium to give your home or office a classy touch! Solariums are not temperature controlled, and they can be harder to clean since they are constructed primarily of glass, but the home and business owners who opt for a luxurious solarium agree that the experience and atmosphere they provide are worth the additional considerations! Greenhouses can be constructed from many different materials, including glass, acrylic, polyethylene, and fiberglass. With Unique Kansas City Patio Enclosures, customers get the benefit of working with a team who is familiar with all of these materials and can recommend the best one for your greenhouse project! The right greenhouse can lengthen growing seasons and open up new avenues for your gardening. You could have the potential to grow tropical plants right here in Kansas City, even during the middle of winter! 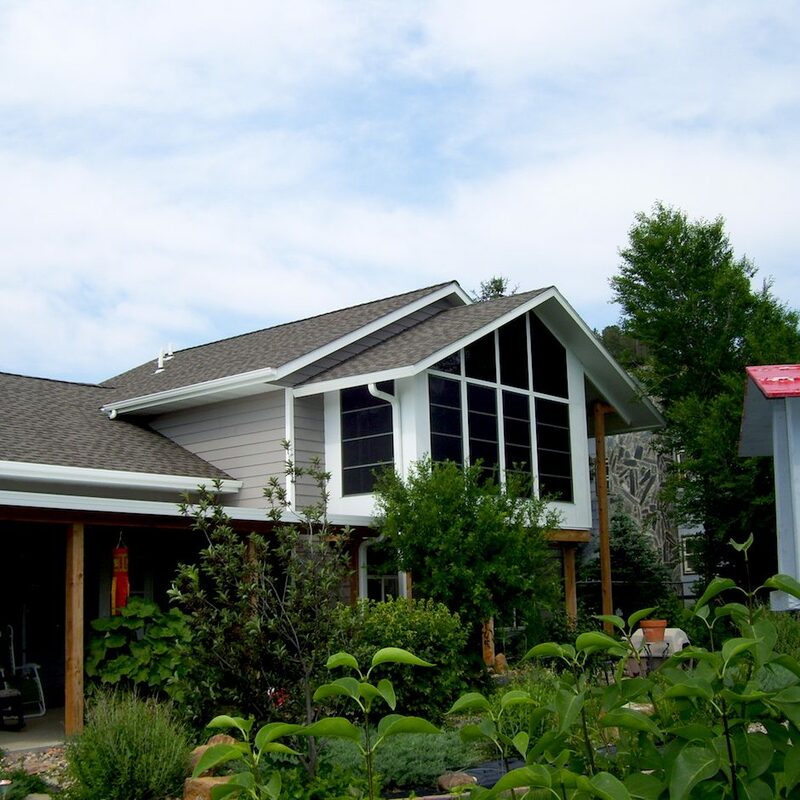 A greenhouse can be as beautiful as it is functional, as long as you’ve chosen the patio enclosure builders in Kansas City who know how to give you the best of both worlds! For a more authentic outdoor experience (i.e., actually being outside) a patio cover may be a better option for you and your family. 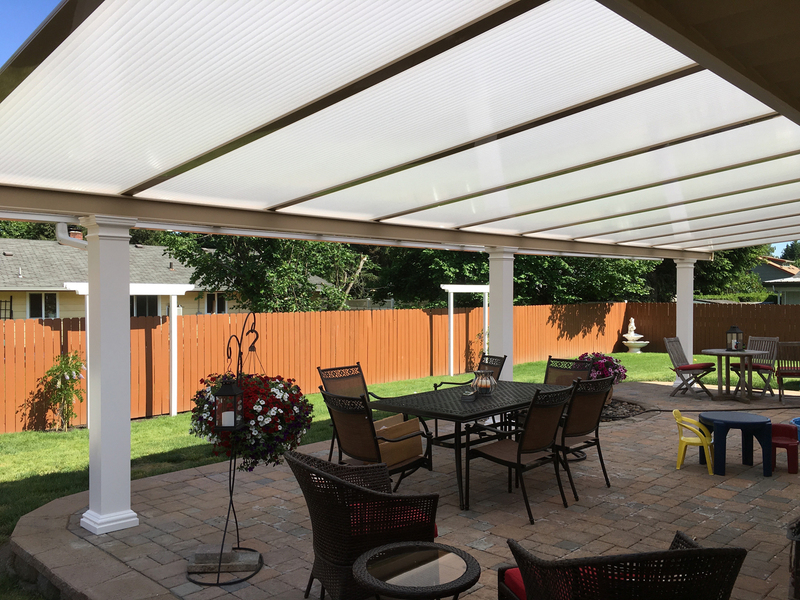 While patio rooms put a layer of protection between you and the elements, a patio cover will allow you to enjoy the outdoors with a little overhead protection. A patio cover can do a lot for your home. First, it blocks the sun’s rays and can keep you outside even when raining, and it’s a great way to join your interior and exterior spaces. Patio covers are a good choice for families with babies or anyone who can’t handle the heat but doesn’t want to be stuck inside. Unique Kansas City Patio Enclosures are custom built, and there are many design options available to help you make yours fit seamlessly into your home’s design! A carport is an alternative to a closed-in garage. Many homeowners prefer this option, since a carport can actually double as a patio. Choose the only patio enclosure installers in Kansas City with the creativity and experience to give you this kind of versatility! A carport installed by professional patio room installers can protect your vehicles from the sun’s harsh rays and from hail or debris during storms. Carports are inexpensive and offer quick assembly, so they are perfect for anyone who is in a hurry to get a dependable structure up. The simple design of a carport makes it a perfect option for commercial and residential customers alike!